Having trouble separating your scops from your screech owls, Tengmalm's from Tawny Owl or Collared and Spotted Owlets? Then this is the book for you. Owls of the World: A Photographic Guide is the ultimate photographic resource dedicated to the identification of these charismatic, largely nocturnal birds of prey. 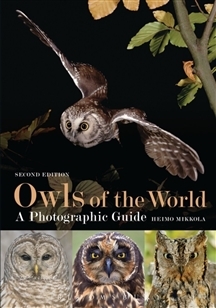 Owls of the World: A Photographic Guide contains lavish and spectacular photography from dozens of the world's finest natural history photographers, covering all of the world's 268 species of owls; particular attention is given to subspecific differences, sexing and ageing. 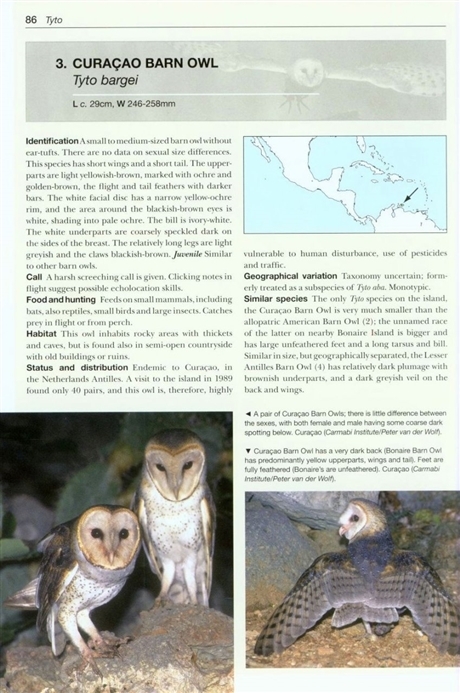 The photos are accompanied by concise text on the identification, habitat, food, distribution and voice of these birds, along with accurate range maps. 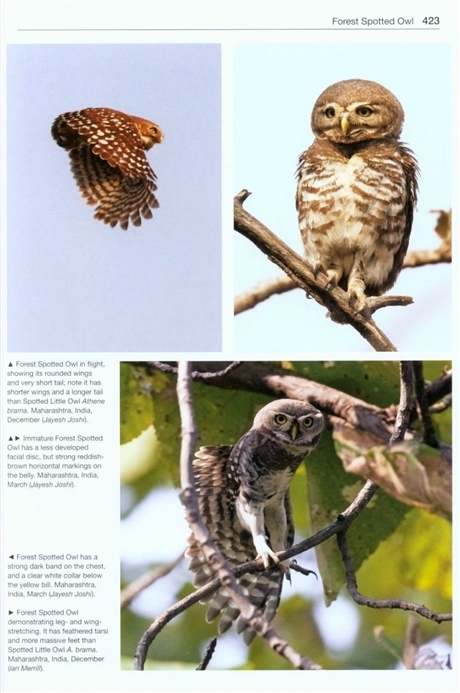 In this second edition, recent changes to owl taxonomy are incorporated with full descriptions (and images) of a number of new species, plus a several new photographs to improve Owls of the World: A Photographic Guide's amazing photographic coverage still further. This is the definitive work on owl identification – no birder's bookshelf should be without it! Please note, seeing the short interval between publication of the first edition and second edition we contacted the publisher to confirm that the plans for a second edition were genuine. Christopher Helm replied that in the process of planning a reprint of the first edition, they decided to add up-to-date and new information. Rather than a revised reprint edition, this became a second edition. Heimo Mikkola jest światowym najbardziej znanym ekspertem sowa. Pochodzący z Finlandii, Mikkola podróżował po świecie, odwiedzając 128 krajów w trakcie swojej 40-letniej kariery naukowej w poszukiwaniu nocnych ptaków.